A DREAM REALIZED. A JOURNEY THAT HAS JUST BEGUN. At the age of 7, I stood at the shore of Lower Wacker Drive in Chicago watching my father participate in his first triathlon, knowing that one day that had to be me. 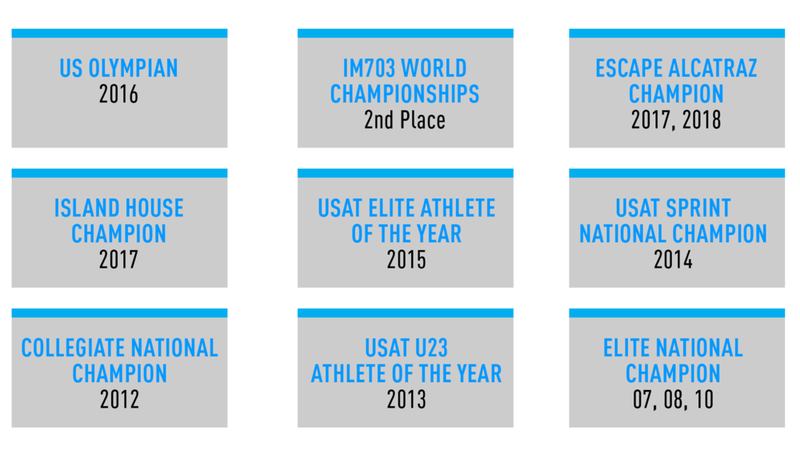 Fast forward through years of hard work, and I am honored to be a US Olympian and National Champion(3x). Be a great ambassador for people in the sport, while inspiring them to find their potential. Bring new people into the sport. Get younger children and adults active and healthy through sport.